Where do I use my Metrofone voucher code? The Metrofone website is designed to be easy to use so you can find exactly what you’re looking for with as little fuss as possible. 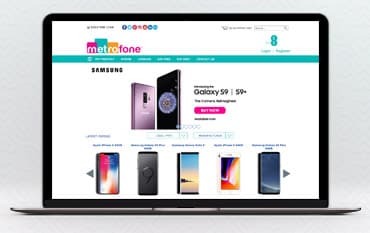 Home to a huge array of the latest smartphones boasting great deals on Monthly Contracts as well as Pay As You Go Deals, Metrofone is safe and secure and is brought to you by one of the longest established businesses in the mobile phone market. Shop the latest mobile devices including Apple iPhone’s and the Samsung Galaxy range, plus many more at competitive prices. If you’re in need of some assistance, the friendly customer service team are on hand to help by email or phone whenever you wish! Metrofone may pride themselves on offering thousands of fantastic deals however they remain small enough to give you the assistance and service you require. With decades of experience and expertise, Metrofone has been providing an outstanding service since the mid 90’s. You can browse online for the latest goods and save money on Monthly Contracts and Upfront Gifts along with many more products including gifts, sim cards and more with the use of one of our Discount Codes. See what we can do for you today and upgrade your phone to the latest edition or sign up to a new, affordable contract with Metrofone. At Metrofone, you can earn yourself £25 simply by referring your friends. If you enjoyed shopping with Metrophone, make it better by showing your friends just how fond you are By referring your friend, you and them too could earn £25 to spend towards whatever you wish at Metrophone. If you’re regular Metrophone shopper, what better way to enjoy your experience than to earn extra cash towards your next order. Find out how to do so here. We here at NetVoucherCodes want you to not only have the most enjoyable shopping experience online, but to save money whilst browsing online. We proudly partner with Metrofone to bring you a great selection of money saving deals and discount codes to help you make instant savings when shopping online. Browse through our Metrofone deals page right here and see what we can do for you today! If you’re on the lookout for a new phone contract, Metrofone has an abundance of fantastic deals boasting some of the most affordable deals in the market. Browse through a wide array of the latest devices including the Apple iPhone X, The Samsung Galaxy S9 Plus and many more of the most sought after devices in the world of technology. Grab your next device with no upfront cost with monthly payments from as low as £15 a month with one of the nations most trusted network EE. Metrofone uses DPD's premium next day delivery service which requires a signature on arrival. If you are not going to be home DPD will leave you a consignment card and you are able to pick up your item from your nearest collection point, or alternatively rearrange delivery. How do I make changes to my Tariff? Metrofone is one of the biggest and best online mobile phone websites stocking the widest range of mobile phone deals you can find on the web. Working alongside all the largest UK mobile networks and manufactures including EE and boasting an impressive rage of the latest devices. Discover some of the most competitive deals in the market at Metrofone and get monthly contracts for less when using a Metrofone Voucher Code which you can find right here on our deals page.